"Alien 3" is not good. David Fincher famously walked off the set and renounced his involvement of the third film in the "Alien" franchise. He must have known then what we all know now. This movie is bad. This movie is the kind of bad you see in a high-school performance of Shakespeare's "The Taming of the Shrew" and I should know, because I was a minstrel in one such travesty to hit the stage. The author of this script feels like a sophomore in high school who just discovered the F-word. Much to his mothers chagrin he inserts it whenever he desires with little/no effect. Some movies like the Coen brothers "The Big Lebowski" use the F-word to create character and charm. The writing team here seem to insert it simply because they can. The overuse of language make the characters appear stupid which is exactly how this film comes across. The film work is engaging and the the music is still good even if it is a bit manipulative. While this franchise has been blessed with talented directors, who have an eye for visual storytelling, I thought this film looked better than James Cameron's take. 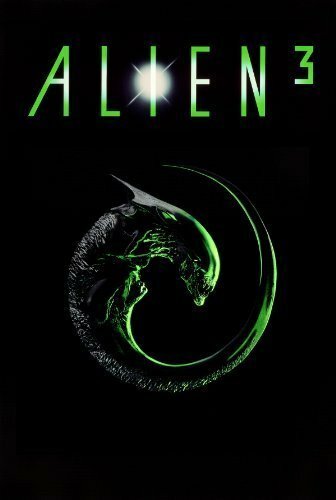 Although neither Fincher's nor Cameron's interpretation comes close to the masterpiece that is "Alien" from Ridley Scott. One of the most compelling parts of the "Alien" franchise is the heroin LT. Ripley, played by Sigourney Weaver. In this film she gives a tired and beaten performance which is called for by the lousy twist that she is carrying the alien queen. That makes this movie feel tired and not scary. The supporting cast is full of talented actors giving terrible performances based on a terrible plot which is terribly written. When attempting to draw the audience in to the struggle of the protagonist it is important to make sure there is something or anything, in the film that doesn't resemble a bump on a log. Everything about this movie is bad. It has nothing to draw your fears on, it has no where to anchor the audiences investment. The "Alien", series as a whole has a lot to offer. Alien 3 however should have stayed in the space prison it created. ← I have never been so happy to be watching a movie in the dark.